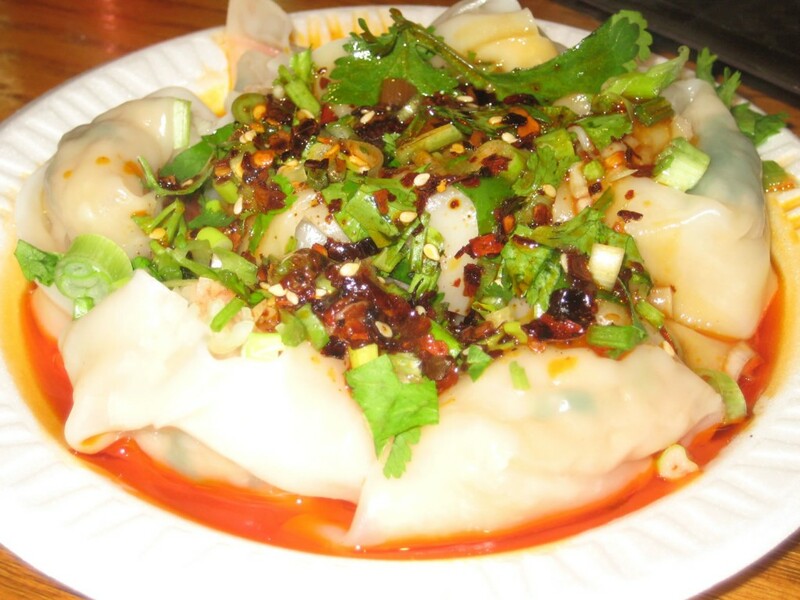 My brother has been trying to take me to Vanessa’s Dumpling House, one of his favorites, for quite some time, but being the lazy git that I am, I always declined. Finally, his pestering got the best of me & I’m so glad it did! 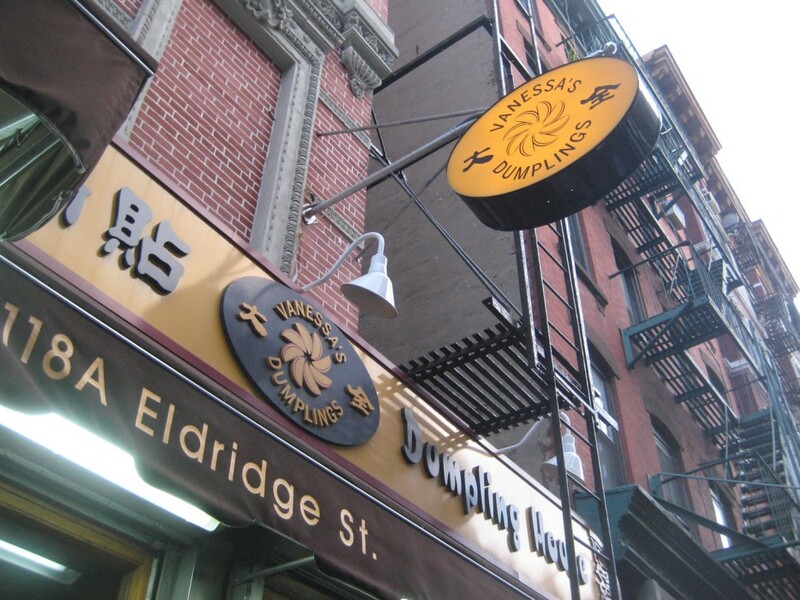 I had heard great things about Vanessa’s, particularly the dumplings (obviously), duck & incredibly cheap prices; they were ALL true! 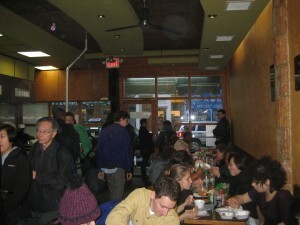 We went on a pretty typical mid-week afternoon & the place was already packed. There’s a blast of delicious smells that hits you right in the face as soon as you enter the block & once you get inside, you know you’re in a good place. There’s a long counter to place orders & communal tables where you have to fend people off like ravenous vultures to get a seat. We managed to snag one of the larger tables in the back & pretty soon our food started arriving. 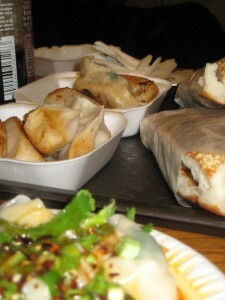 Obviously, we started with the dumplings & got 2 orders; Chive & Pork and Cabbage & pork, both fried. 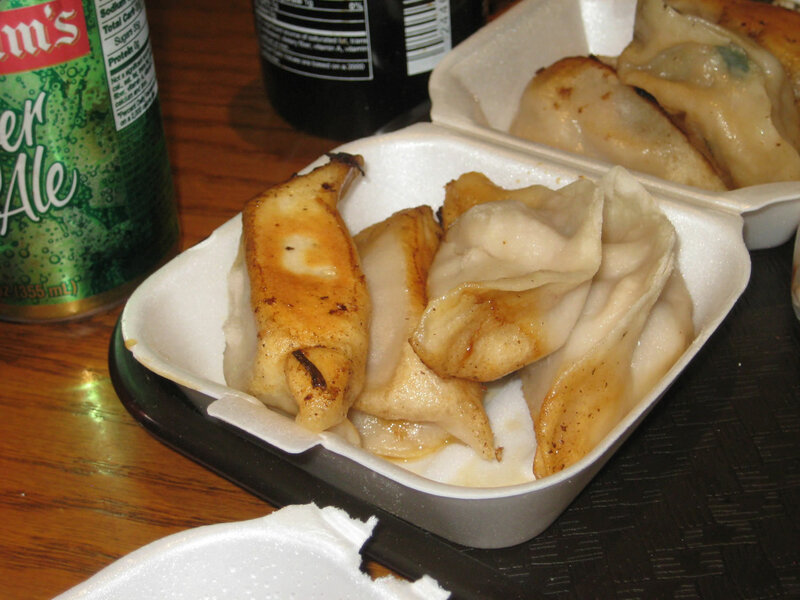 I’m more of a gyoza guy, but the dumplings at Vanessa’s did well to convince me otherwise. 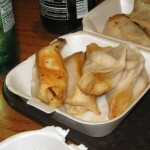 We also got the Wonton with Spicy Sauce (pictured above) which was very good, but a little too spicy for my liking. I’m a wuss when it comes to spicy dishes & I had been warned! As much as I tried to avoid the fiery sauce it was near impossible; if you like spicy food, this is for you! 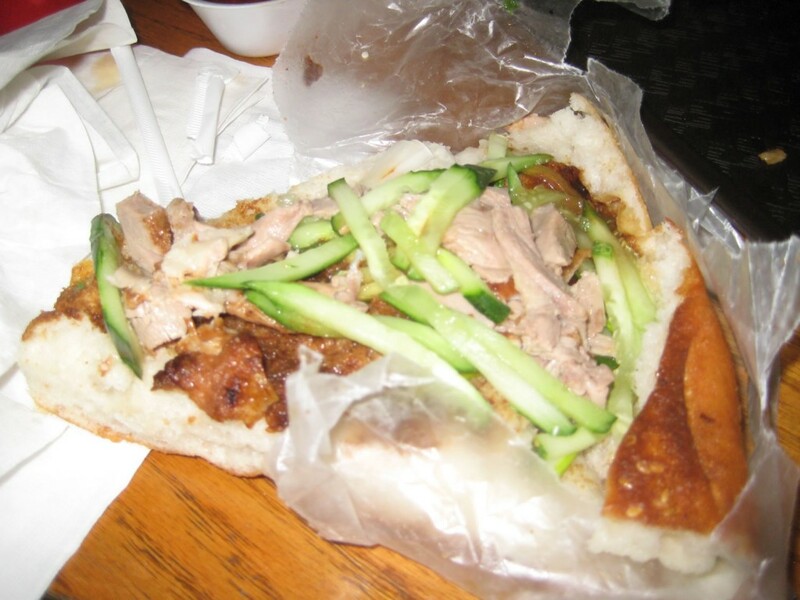 Finally we got to the dish that I had been waiting for; Sesame Pancake Sandwiches with Peking Duck. I’m guessing that this is one of the more popular dishes as there was a dedicated station right by the door & mounds of delicious, aromatic Peking Duck. the addition of a little (and I do mean a little) chili sauce & some hoisin did wonders. At $2.25, this dish was just amazing & well worth the trip to Vanessa’s on it’s own. After months of procrastination, Vanessa’s Dumpling House far exceeded my expectations; come hungry, be prepared to fight for a seat (or just eat it on the street) & expect to be totally satisfied! agghhhhhhhhh one of my favorite “secrets” exposed – but its a good thing I guess, I would love to have a place that was this popular that everyone thought of as their secret.